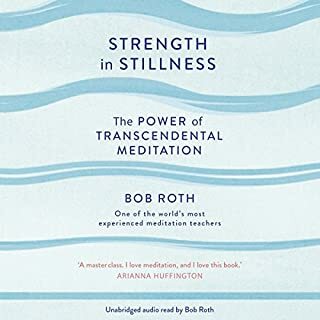 Bob Roth is one of the world's most sought-after teachers of transcendental meditation - a highly effective form of meditation that goes beyond mindfulness to produce a deeper and long-lasting sense of peace. Every day we face a growing epidemic of stress. People of every race, age and income all make the same confession: 'I am so stressed'. There is a simple practice that dramatically changes how we respond to life's stresses: the Transcendental Meditation technique. This book is more of a series of examples on how TM played out for people doing it. It doesn’t cover the how to TM and it sure sounds a lot like a prospective way to sell the reader into joining a TM center. The "mind-reading" system that is revolutionizing online business. Do you know how to find out what people really want to buy? (Not what you think they want, not what they say they want, but what they really want?) The secret is asking the right questions - and the right questions are not what you might expect. 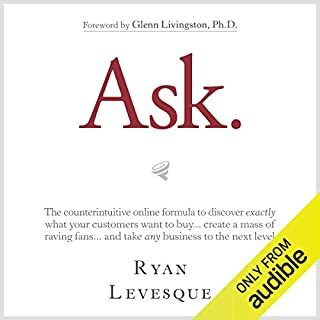 Ask is based on the compelling premise that you should never have to guess what your prospects and customers are thinking. Would you try another book from Ryan Levesque and/or Tom Parks? Has Ask turned you off from other books in this genre?